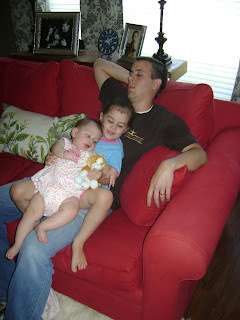 We are always respectful of Daddy's naps. We try not to bother him and we try to be quiet around him. We are always sure to tiptoe and whisper when he is napping. Daddy's naps are very important.